Tear trough enhancement refers to treatment to the area directly below the eye that runs from the corner of the eye (by the nose) along and under the eye. Hollowing or losing volume in this area occurs as we age. The result is a prominent line or even a fold in this area, dark circles appearing more prominently under the eyes, wrinkles or creases under the eye (etc) which combine to produce an aged appearance. 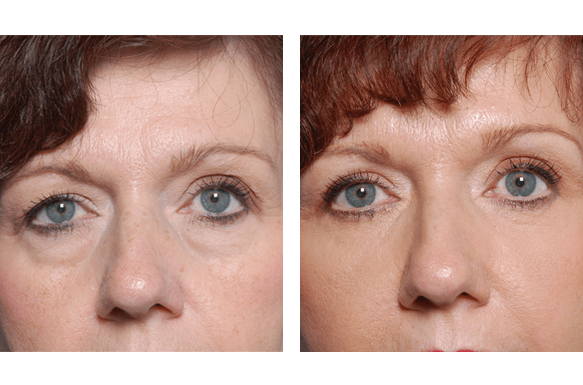 Treatment of the tear trough with dermal filler can reduce the appearance of this ageing process and help rejuvenate the eye area. The results are a more youthful appearance, brighter eyes and improved structural appearance to the eye and mid-face region. This treatment can really turn back the clock on those that are affected by tear-trough hollowing or are concerned by the appearance of their tear trough area. A consultation with Dianna and Kirsty will help you to understand the treatment options available for your individual concern and what your results are likely to be. This entry was posted in Concerns. Bookmark the permalink.